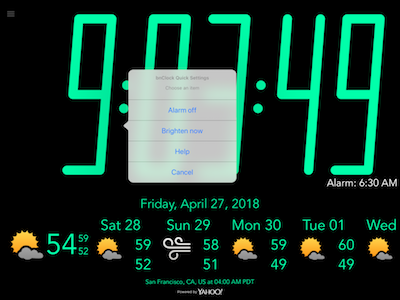 bnClock displays the time in the largest digits your iPhone or iPad will allow. It's designed to help you read the clock from across the room. 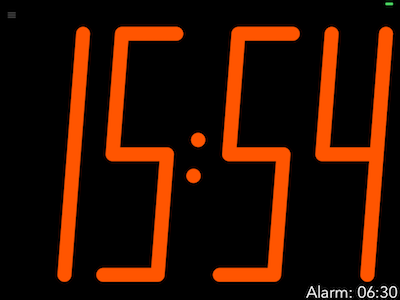 bnClock Alarm settings can be accessed by swiping right or left. 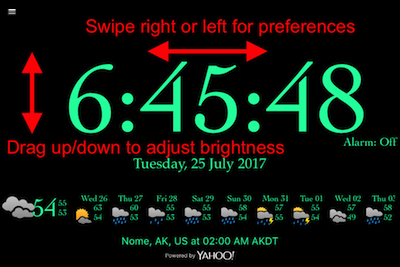 The brightness can be adjusted by dragging up and down. You can also adjust settings using the menu in the upper left of the screen. Swiping anywhere while the alarm is going off will silence alarm. 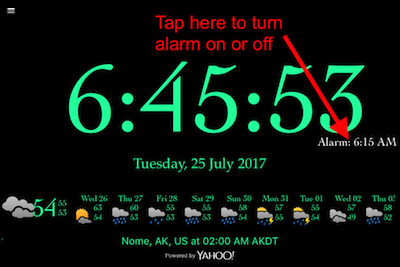 The alarm can be enabled or disabled by tapping on the "Alarm:" indicator on the screen. If you'd like to see the full weather forecast, tap the location description. 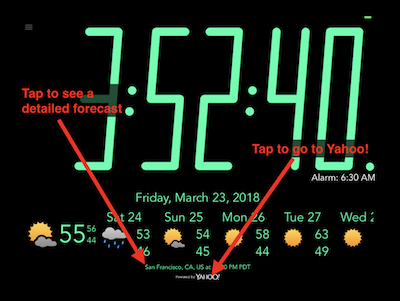 Tap Powered by Yahoo! to go to the Yahoo! web site. 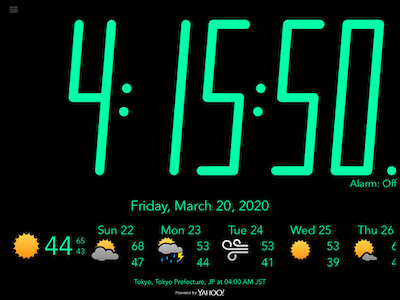 By disabling the weather and date, turning off the seconds display, and using the seven segment option (Nixie is almost as large), bnClock will display the largest possible clock face. 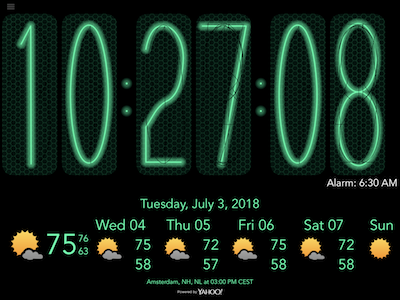 Use the Appearance Settings to configure your bnClock display. 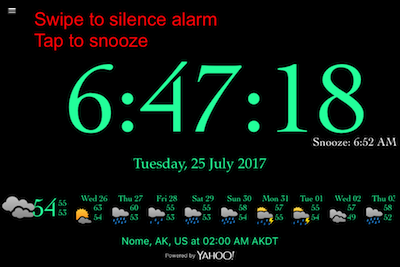 The appearance of the clock can be configured in the various settings views. Use the menu in the upper left to get to those settings views. There are a few additional shortcuts available. Use a long press on the clock to get a menu of quick actions. The contents of the menu changes slightly depending upon your settings.